A couple of ceremonies this week for people who in their different ways made a difference to their local areas. The funeral of Alan Porter (pictured below) takes place tomorrow, 1 July 2014, at Honor Oak Crematorium. 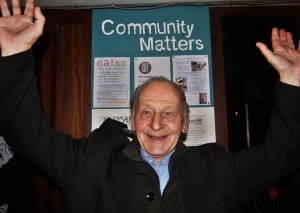 Alan helped out at the Hill Station/Telegraph Hill Centre in Kitto Road SE14. Details here. Later today (around 2:45 pm), the ashes of Peter Flack will be scattered on the Thames, his friends gathering first at the Cutty Sark pub in Greenwich. 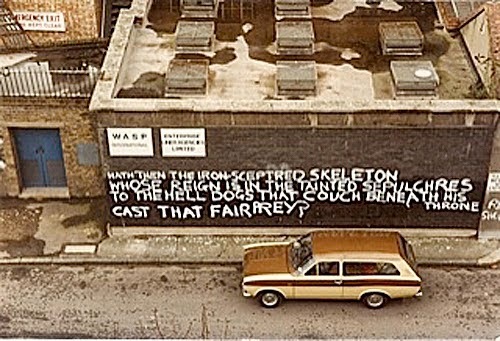 Peter was a Crossfields Estate resident in 1970s Deptford, responsible for poetic graffiti in the Creekside area. Details at Crosswhatfields? 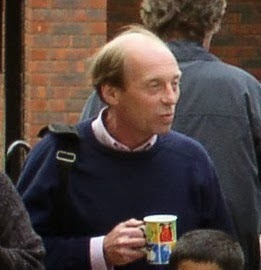 Deptford Misc remembers the life of Richard MacVicar (MAC), who died earlier this year. Richard was a key figure at Deptford Adventure Playground from the 1970s until a couple of years ago.